At Classfare, we’re privileged to experience some pretty extraordinary things: stories, travel, people, objects. We get to discover and catalog richness in those places and things we’ve never seen or tasted or smelled. And to capture such diversity of story, travel is a (happy) necessity. The opportunities to drive and walk and sail through countries and time zones is, technically, a labor. But it’s a glorious one. And one of the more glorious labors of our editorial endeavors is traveling through Europe. It’s romantic, glamorous, and raw. And it’s steeped in time tested craftsmanship. One of the great examples of such industrial history is the watch making industry. Arguably the pinnacle of fine watchmaking, A. Lange & Söhne is based in a small German town in the Ore Mountains, called Glashütte. And from this humble town, the storied brand crafts timepieces extraordinary in their distinctiveness, their precision, their movements, and their beauty. 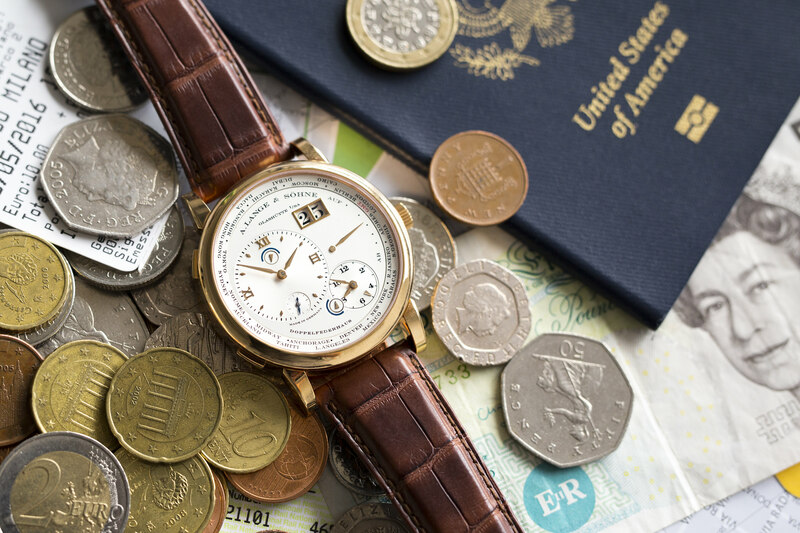 So, as our European travel plans gained momentum, we were honored to receive a watch from A. Lange & Söhne that would suit the trip: the Lange 1 Time Zone. We know you have eyes, but it must be said: this watch is a marvel. It displays the oversized date in a manner that signifies the brand. But this specific watch is tailored to the global traveler. Around the circumference of the watch is a 24-hour time zone indicator. This allows for the owner to understand their exact relation to the current time zone, whether to keep track of that important client across the globe (not a good thing to wake them in the middle of the night) or to know when your family will be ready for your call home. 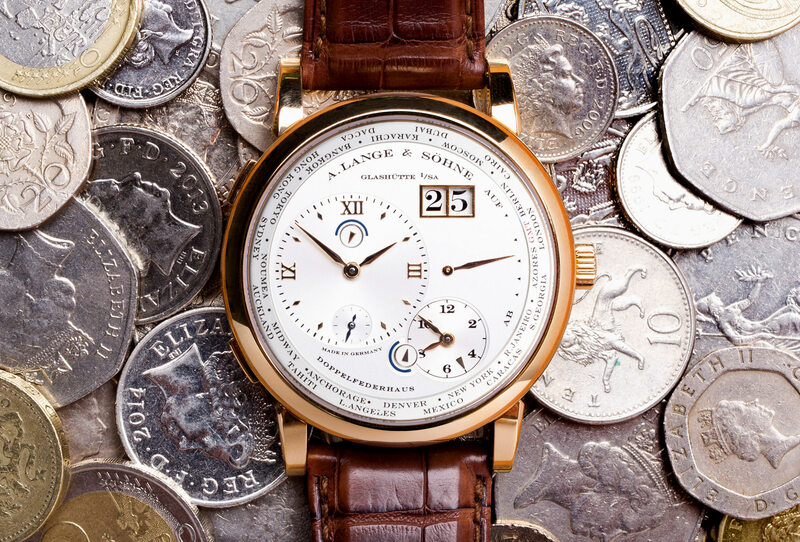 The Lange 1 Time Zone also features two distinct movements for separate times. One can set a “home” time so that no matter where one travels, the time at home stays constant on your wrist. There’s a smaller dial for a second time zone intended to be set to the time zones you’re moving in and out of. Probably the most interesting aspect of this timepiece is the switching mechanism that allows swapping of the two set times. 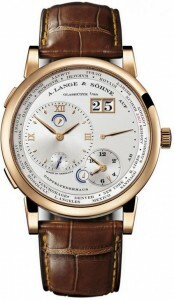 A. Lange & Söhne is in the masterclass of movement manufacturing. This specific model is no exception. All the products that leave the factory in the Ore Mountains are meticulously crafted with centuries-old precision (and a load of patents) that make this the type of watch you’ll consider selling your car for. This specific movement is a manual wind that provides up to 72 hours of power reserve when fully wound. The movement is exposed in the back, displaying a combination of technical precision and aesthetic design (for the watch geek, there are 417 parts, 54 jewels, and a slew of technical mastery that creates a list too long to describe). The watch looks great from every angle, each of its parts beautiful in their own right. The dial is simple, the hands are bright, the whole package displaying what the best of the best are capable of. It will make any suit look that much better, and that open white shirt sailing off the Spanish coast look (and feel) like a scene from the life of JFK. So should one’s life take a turn that allows for the purchase of an object like this — one that is in a master class of watchmaking perfection, as well as a master class price tag — this is one of the few watch companies that’s worth the effort (and the cash) to pursue. Just promise us you’ll get out there and use it. It would be wasted on a life (and a wrist, no matter how wealthy) that wasn’t full of experiences, and places, and times.